Home / saving / Anything for Free!? Think free is always good? You might be right but this article will outline why you should take care when hunting for freebees. Any thoughts on the matter please post in the comments section at the end of the post. This is a quick post to share with you all a little tip that I picked up whist procrastinating on stumbleupon (a site that directs you to random quirky webpages - a must for any committed procrastinator!). 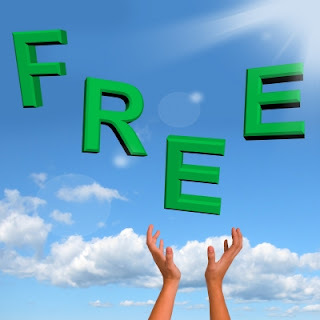 After searching through articles with the keywords "free" and "money" it soon became clear that if you try hard enough you can actually get most things for free (even this picture!). However, there is such a thing as an extremely cheap lunch! It is true that everything has a cost, nevertheless it is nice to get something for free, especially when trying to be frugal. So if you're willing to spend long enough searching you can find just about any item that you want (apart from really expensive items of course!) for free. You may have to enter a competition. Also you aren't guaranteed the item. Simply: nothing in life is ever totally for free. However, if you are willing to jump through all the hoops, take care and spend the time making sure you don't incur any hidden costs then you can definitely pick up a bargain. Are there any methods of getting something totally for free? I'd always thought that there is always a hidden cost. Correct me if you can in the comments box below. The best freebies always seem to come along when you're least expecting them! There's no better feeling than being in the right place at the right time for a freebie! Agreed! Nothing better than walking down the high-street and receiving a free drink or shaving foam! !